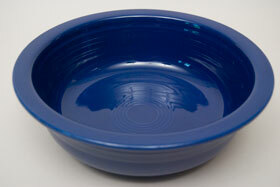 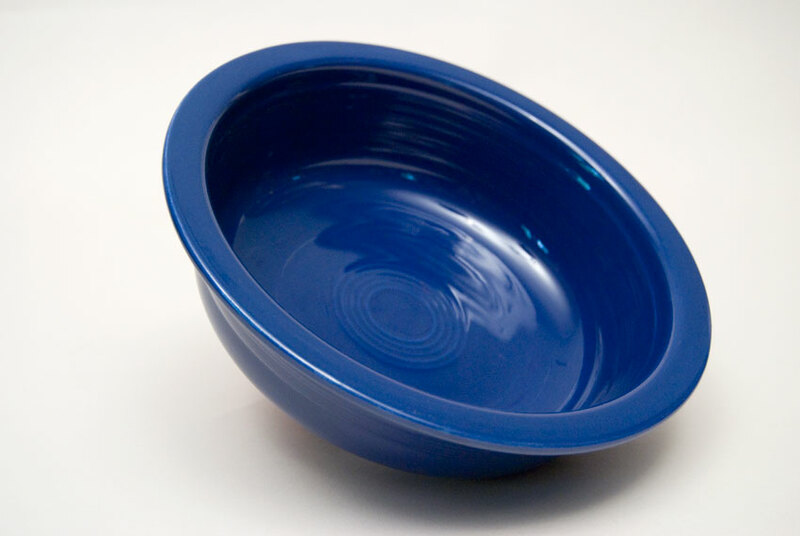 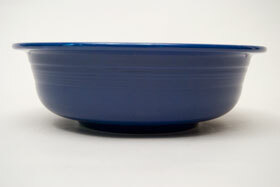 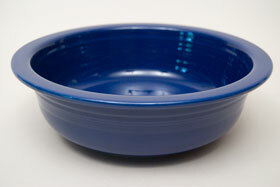 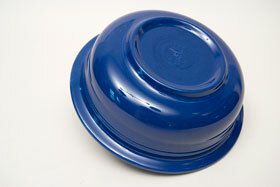 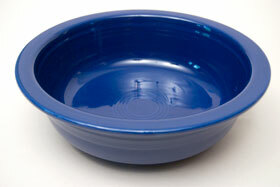 Circa 1936-1951: Vintage fiesta 8 1/2 inch vegetable bowl in the original fiesta cobalt glaze. Marked in the mold on the bottom. Slip cast in a mold with the concentric bands of rings etched into the pottery by hand on the jiggering machine. 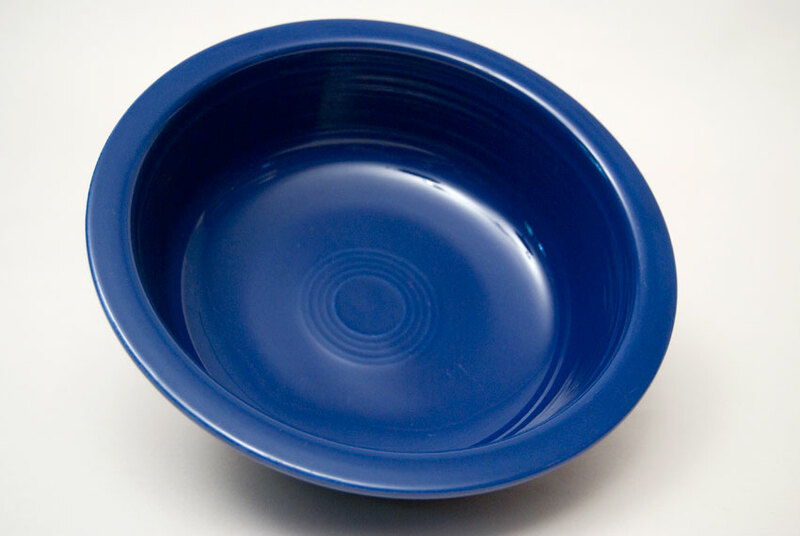 The nappy bowl is an essential part of the dinner table, it is always a treat to find vintage fiesta cobalt in nice condtion without damage.